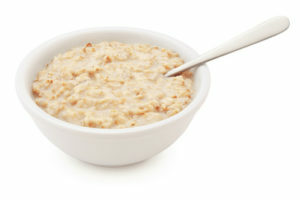 Q: How healthy is oatmeal for breakfast? A: I prefer to start my day with protein and healthy fat. Here’s why. A colleague at Harvard did an amazing study involving three groups of overweight kids. He gave them three different breakfasts that had the same number of calories: instant oatmeal, steel-cut oats and a veggie omelet with fruit. Those who ate the instant oatmeal ate 81 percent more food during the day, and those who ate the steel cut oats ate 51 percent more, than those who ate the omelet. What was really interesting was that blood tests found higher levels of insulin, blood sugar and stress hormones (cortisone and adrenaline) in the kids who ate the oatmeal. Their whole biology was different. The calories from the oatmeal behaved very differently than the calories from the omelet. This is what we pay attention to in functional medicine. We see food not just as energy, but as information and instructions for your hormones, your brain chemistry, your gut flora and your immune system. And it doesn’t take decades to occur. It happens in real time.